Jay White becomes the fourth leader of the famous faction. 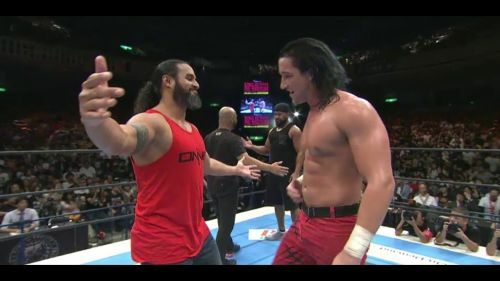 Back at King of Pro Wrestling, Jay White joined the Bullet Club faction in NJPW after attacking former Chaos stablemate, Kazuchika Okada. He mentioned in following interviews that he wasn't the new leader of the Bullet Club. Well, apparently things have changed. SEScoops.com carried a tweet from Bullet Club OG Tama Tonga stating that White is officially the new leader of the popular faction. The leader of the Bullet Club has often become one of the top three or four wrestlers in the NJPW promotion. It happened with Prince Devitt, AJ Styles and Kenny Omega. Omega offered White a spot in the group in January of last year, but White declined. Instead, he beat Omega for the IWGP United States Championship after joining Chaos. With the recent split of the Bullet Club into the Elite and Firing Squad factions, a new leader was ultimately going to be named. Most of the Elite were finishing up their commitments to NJPW in order to become free agents. That's why the two factions of the Bullet Club split up and why White was finally named the new leader of the club. The Bullet Club fracture was caused in part because Tonga felt that Omega and Cody felt that they were above the group, hence why they named themselves the Elite. With the new year just around the corner, some other new members might join the faction. White's new Switchblade gimmick helped him rise through the ranks, so much so that NJPW felt he would be great as the new leader of one of its most popular factions. Tonga and White embrace after demolishing Okada in the middle of the ring. So much turnover has happened with the stable this year, so it might take some time for the faction to regain its footing. They still have the Guerillas of Destiny and Bad Luck Fale in the group, so as long as those three wrestlers are a part of it, it has life. Some fans have asked Tonga about 'what happened to no leaders' in the Bullet Club, but he must have changed his tune. Strap in for what should be an interesting year in NJPW and pro wrestling in general. 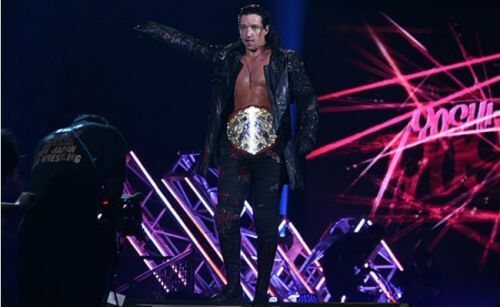 What's next for Jay White?